What’s worse than lawn weeds? Weeds that keep coming back, of course! 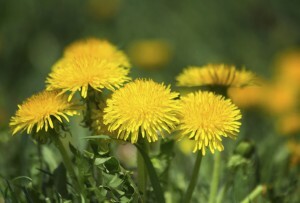 Just one dandelion plant can produce as many as 15,000 seeds, each one capable of maturing into a full-grown plant. 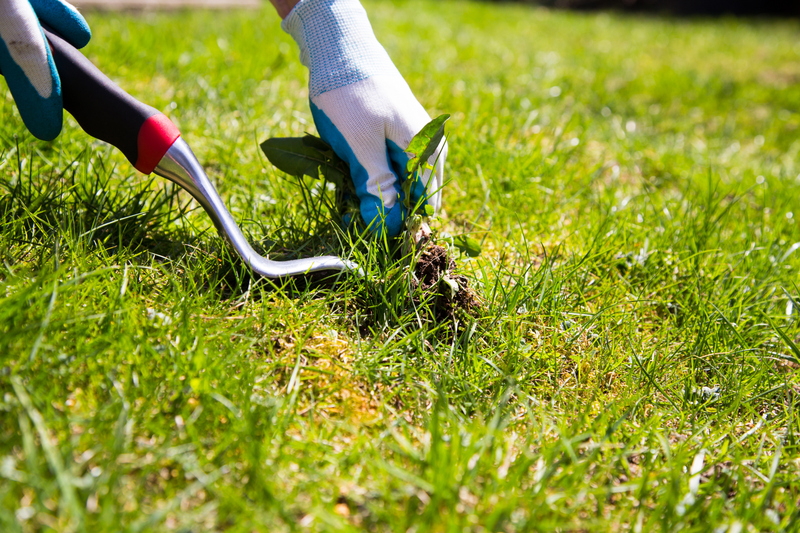 Here are some Do’s and Don’ts for winning the battle against lawn weeds once and for all. Take time to identify your weeds before applying herbicide. This will ensure you buy the correct formula. Identify your weeds. No single herbicide or weeding technique will work against all weeds. Also, some weed treatments are time or temperature sensitive. You may want to ask your local garden center for help with the identification. Take steps to grow a healthy lawn. Dense grass crowds out weeds and blocks the sunlight so their seeds can’t germinate. Mow to the ideal height. Mow when your lawn is one-third above its ideal cutting height. That clips off the weed seed heads before are mature enough to seed your lawn. It also promotes grass health. Fertilize your lawn. Follow the application rates on the package. Too much fertilizer can backfire by nurturing certain weeds. Too little fertilizer may result in a sparse lawn that gives weeds room to thrive. Give your lawn infrequent, deep soakings. Light, frequent watering encourages the growth of crabgrass and other common weeds. Other weeds love soil that’s too dry. Address the causes of your weeds at the same time you’re treating them. This will help prevent them from returning. If you have ground ivy, for example, that may indicate that your soil surface is too damp or shady. Try aerating the soil to improve drainage, or selectively pruning any tree branches above that area. Manually pulling weeds from your lawn is the simplest way to remove and prevent future weeds. Hand-pull small numbers of weeds. Pulling them before they flower and seed is the simplest way to prevent them from spreading or returning. It’s easiest to yank out the entire plant, including the root, when the soil is moist. Or use a sharp spade if necessary. Repeatedly pulling any new sprouts will eventually starve and kill the weed. Use herbicides as a last resort. Consider them only when nothing else works or if your lawn is completely overrun with weeds. Choose one made specifically for your type of lawn and the weeds you are trying to kill. Understand the herbicide terminology. Pre-emergent herbicides kill germinating seedlings. Post-emergent herbicides kill actively growing weeds. Contact herbicides only kill the part of the plant they touch. Systemic herbicides kill the whole plant. Selective herbicides kill only certain weeds. Nonselective herbicides kill any green plant. Spot-kill isolated weeds with a small, trigger-controlled pump sprayer. You won’t need whole-yard treatment for a few weeds or small weed patches. 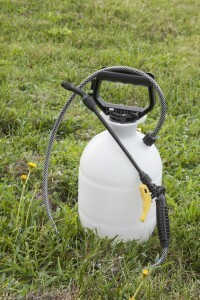 Use a pump sprayer to apply herbicide when your lawn is overrun with weeds. Clear away anything you won’t want contaminated including furniture and toys. Protect your flowers and shrubs by covering them with plastic sheeting. If your lawn is overrun with weeds, applying herbicide is the best solution. Be sure to read the labels carefully so it is applied correctly. Apply herbicide without following label directions. Used incorrectly, herbicides can weaken or even kill your lawn and plants. These chemicals are also dangerous to people and pets. Mow too low. This weakens your grass because the blades can’t produce enough nutrients. It also lets sunlight reach the soil, helping weeds to germinate. Use weed-and-feed products without being cautious. These products contain both an herbicide and fertilizer. Make sure they satisfy the best timing and rate for fertilizing, as well as the best timing for weed control. Having a healthy lawn, and taking swift action whenever you see a weed pop up, will help to stop weed problems before they begin.